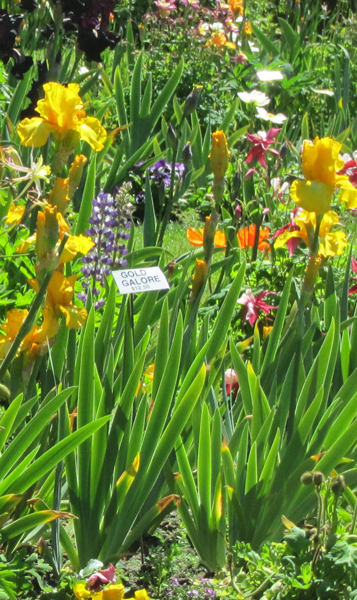 Is Schreiner's Iris Gardens open to visitors during bloom season? Yes, our beautiful 10-acre landscaped display gardens are open to the public daily from May 11-May31, 9:00 a.m. to 6:00 p.m. Our garden gift shop, plant sale and cut flower show are also open daily from 9 a.m. until 6 p.m. during that time. Click here for driving directions to our Display Gardens. We also have many events planned during our Bloom Season. Find out more on our Bloom Season Events Page. What special events are planned for Iris bloom season? Schreiner's Gardens hosts our popular barbeque chicken dinner with an afternoon of Dixieland jazz music and wine tasting every Memorial Day. Visit our Bloom Season Events page to get the details. 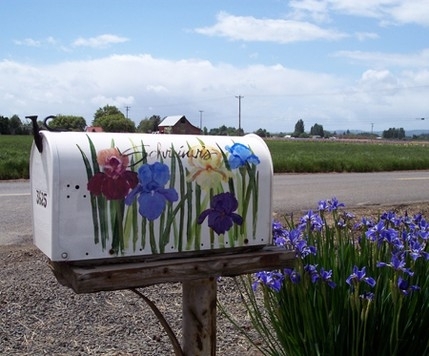 The city of Keizer also has its annual Iris Festival and grand floral parade the third weekend in May. How do I get to Schreiner's Iris Gardens? 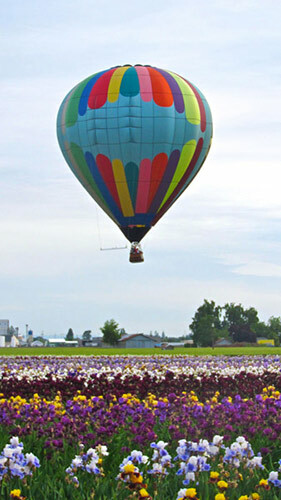 Just 32 miles south of Portland and 5 miles north of downtown Salem, Schreiner's Iris Gardens is located at: 3625 Quinaby Road NE in Salem, Oregon. 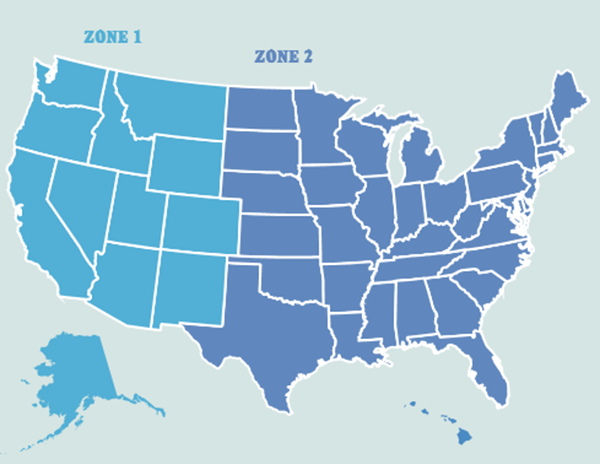 Call us at 503-393-3232 Monday thru Friday, 8:00 a.m. to 4:30 p.m. PST for more info. 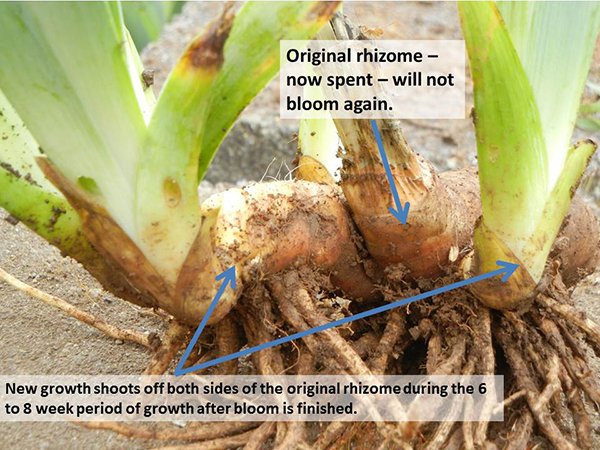 One way Iris reproduce is by growing side increases like eyes on a potato. These eyes grow into fully mature rhizomes in one year. This is known as asexual (or vegetative) reproduction. 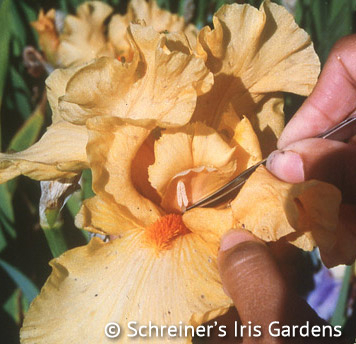 New Iris are created each year through Iris breeding programs. 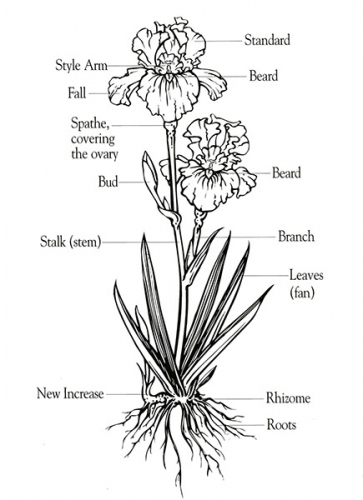 Anyone can hybridize Iris from seed. All that's needed is a little basic information on where the pollen is found and where to put it. 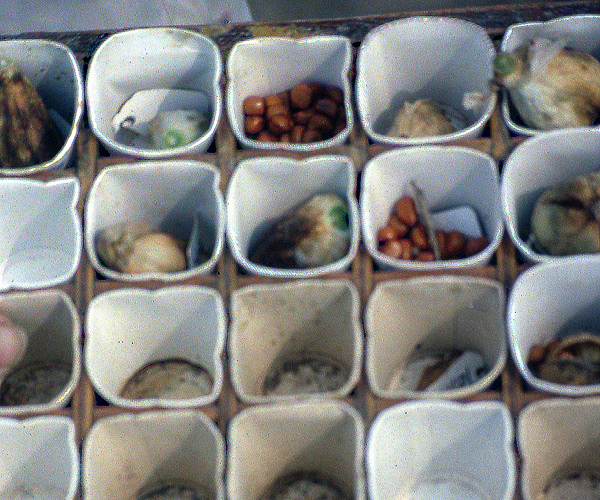 Growing Iris from seed culture produces new varieties genetically. To breed Iris, seeds must develop, from which you can grow new seedlings. Choose the two Iris which you would like to "cross". Using a pair of tweezers and a steady hand, remove the pollen-bearing anther from the center of one of the plants (this will be the "father"). 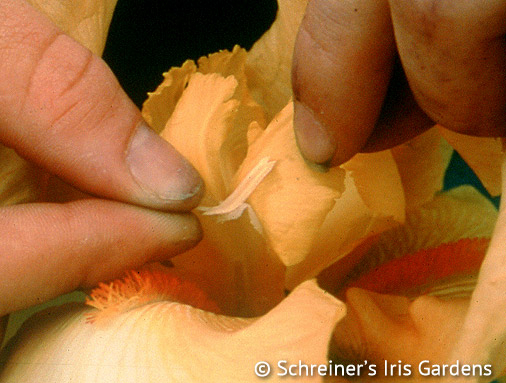 Rub the pollen on top of the stigma of the other Iris (this will be the "mother"). Your chances of a successful pollination will be better if you put pollen on all other stigmas on the mother plant. 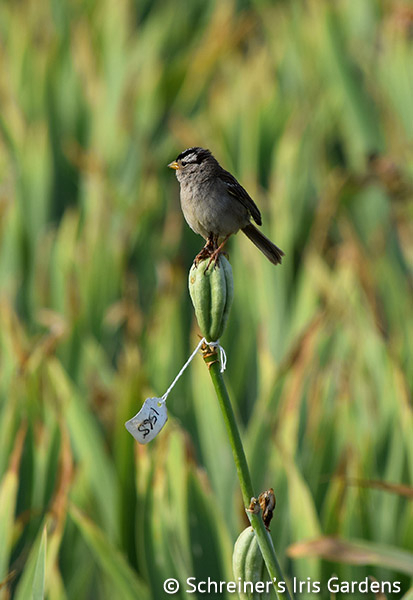 Label your pollinated plant by attaching a tag to the bloom stalk bearing the names of the "father" and "mother" like this: "Conjuration" X "Blue Suede Shoes", for example. If the pollination is successful, the ovary, which is located just below the blossom, will begin to swell after a week or so and develop into a seedpod. How do you grow Iris from seed? About two months after pollination, the seed pod will turn brown and split open. Harvest the golden brown seeds in a small paper cup, and allow them to dry out for a couple more months. Keep the cup in a cool, dry place. Be sure to keep the record of the parents with the seed. In late October plant the seed about 3/4 inch deep and 1 inch apart in well drained soil. Again, label your plantings clearly so that you can identify the sprouts next spring. The planted seed should spend the winter outdoors, planted in full sun. The following spring little Iris will grow from the seed you planted. 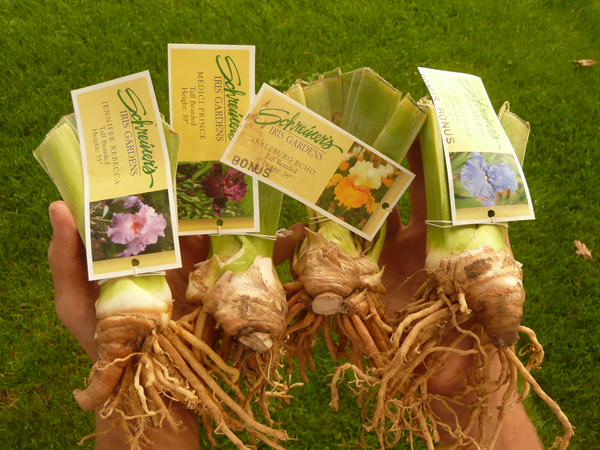 Replant and space out the "baby" iris when they become crowded. Label each new planting clearly. Grow your newly developed Iris to maturity and enjoy the blooms. If you develop an exceptional beauty, with strong growth habit, you might consider registering it with the American Iris Society. (You will need the information on the parentage in order to register the new Iris.) 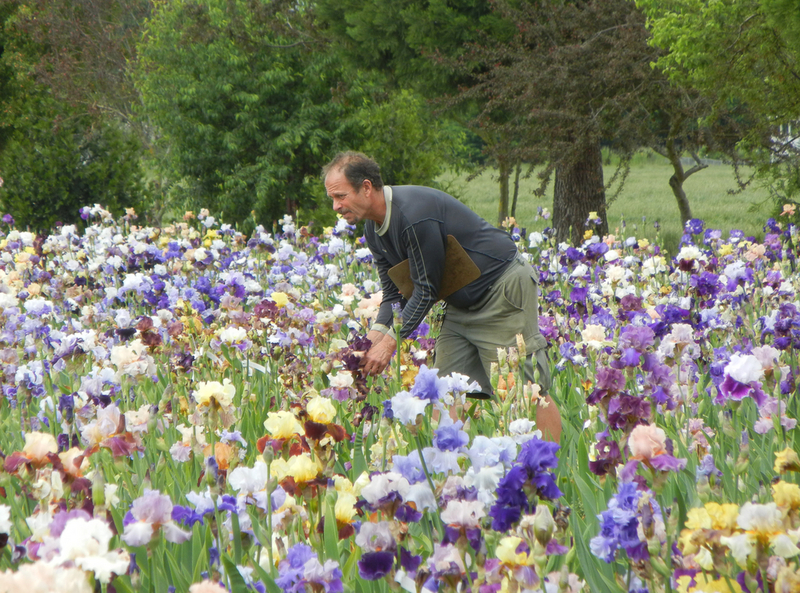 The AIS is open to all who grow and love Iris, both professionals and amateurs alike.